There is currently one active cadet corps affiliated with the Queen’s Own Rifles – 2881 Queen’s Own Rifles Cadet Corps. Over the years, the Queen’s Own Rifles has included several Cadet Corps that are no longer in existence or affiliated with the regiment. We have been able to include chapters on two of these – 17 Upper Canada College and 96 Trinity College School – but the history of several other Corps is lost in time. Here is the roll call of those Corps. The Corps was formed in 1970. It was originally formed as No. 2867 under the sponsorship of East York Mayor True Davidson, but was subsequently renumbered to 1860 to reflect the year in which the Queen’s Own Rifles was formed. The Corps was sponsored by the Queen’s Own Rifles, the RCMP and Royal Canadian Legion Branch 344 and paraded at Moss Park Armoury. It was disbanded in 1990. A corps numbered 48 existed at Jarvis Collegiate Institute since 1899. During the Second World War, each of 48 Corps’ 12 companies was affiliated with a regiment, and A Company, 1st Battalion was affiliated with the Queen’s Own Rifles. Many of the Corps’ companies were disbanded at the end of the war, but A Company converted into 2216 Corps, maintaining its affiliation with the Queen’s Own Rifles. As late as 1960, the Corps paraded over 400 Cadets, but in 1965 the Corps was disbanded. This Corps was formed in 1945 from a company of 48 Jarvis Collegiate Institute Cadet Corps, and was affiliated with the Queen’s Own Rifles in 1947. The Corps was disbanded in 1965. This is another Corps formed in 1945 from a company of 48 Cadet Corps. 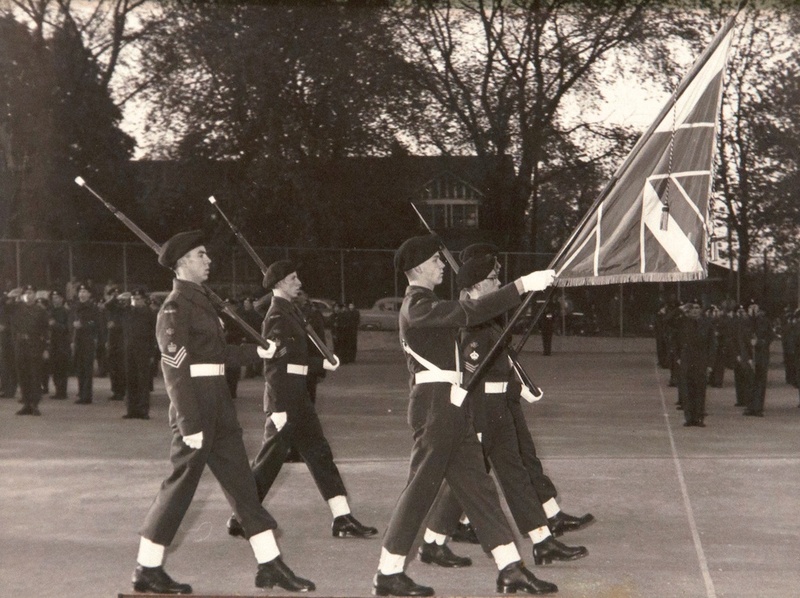 It became affiliated with the Queen’s Own Rifles in 1956, and numbered over 500 Cadets in the 1960s. A platoon of the Corps marched in the regiment’s 1960 centennial church parade at which Field Marshal Montgomery served as reviewing officer. The Corps was disbanded in 1966. A Corps was first formed at Harbord Collegiate in 1898. In 1910, two Cadet Officers represented Canada at the Bisley rifles competition in England where they met Field Marshal Lord Roberts, who granted the Corps the privilege of wearing his coat of arms on its flag and be known as “The Harbord Lord Roberts Cadets”. The Corps became affiliated with the Queen’s Own Rifles in 1948, and numbered over 400 in the 1960s. A platoon of the Corps marched in the regiment’s 1960 centennial church parade that was reviewed by Field Marshal Montgomery. The Corps was disbanded in 1966. This Corps was originally formed in 1953 and had various affiliations until becoming a PPCLI Cadet Corps on 1 August 1958. On 9 November 1963, due to the rotation of PPCLI to Europe, a transfer of sponsorship and affiliation was effected to the Queen’s Own Rifles of Canada. The Corps designated as 2483 Queen’s Own Rifles of Canada (Esquimalt) CC. In 1970 the Corps sponsorship was assumed by 3 PPCLI and the Corps was renamed 2483 PPCLI (Esquimalt) CC. This Corps was formed in Calgary in 1955 as the Queen’s Own Rifles Cadet Corps when the regiment was a regular army unit posted in Calgary. When the 2nd Battalion stood down in 1968, the PPCLI assumed the Corps’ affiliation. 2554 remains a very active Corps, and full information can be found at its website (www.ppclicadets.com). Most of the information on these Corps is from the Army Cadet History website (www.armycadethistory.com), an excellent volunteer effort to preserve the history of Canada’s Cadets.